Emed > News > Adult Gummy Vitamins – Lollies or Nutrient Source? There’s no question they taste better than normal vitamins – but how do they compare nutritionally? Because the make-up of supplements differs between companies, it’s tricky to generalise. However, if we zone in on gummy multis, they tend to come out second best. “Compared to standard multi-vitamins, which pretty much offer all you need, gummy vitamins don’t have as wide a spectrum of nutrients,” explains Kellie Bilinski, Dietitians Association of Australia spokesperson. Another big difference? Some gummy multis on the market are significantly lower in (or missing entirely) key nutrients. 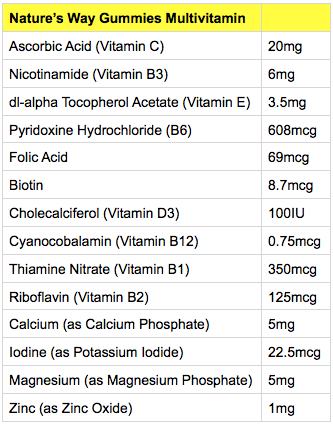 As you can see, the VitaGummies formula does not even come close to matching the amounts of nutrients in MultiEssentials. 350mcg of B1 doesn’t even come close to the conservative recommended daily allowance (RDA) of 1.2mg. You may also be surprised to know that this glorified lolly also contains gluten, wheat and sugar! Gluten and wheat are often found in super-market branded vitamin supplements as a cheap filler but the main issue with VitaGummies is the sugar content found in and around the gummies. 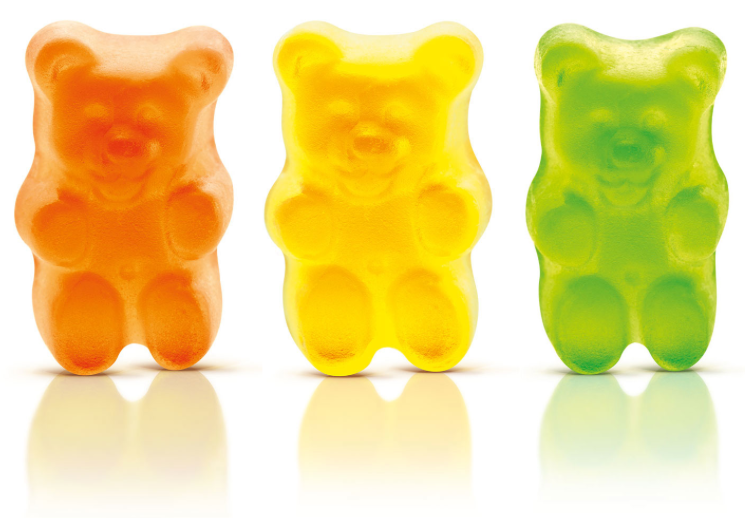 Most of the VitaGummies have at least 1 gram of sugar per gummy and up to 3 gummies are recommended per day. That’s 3 grams of sugar before you’ve even had breakfast. Then there’s the risk of forgetting it’s a supplement, not a snack, you’re chomping. A few extra gummies now and then won’t hurt? 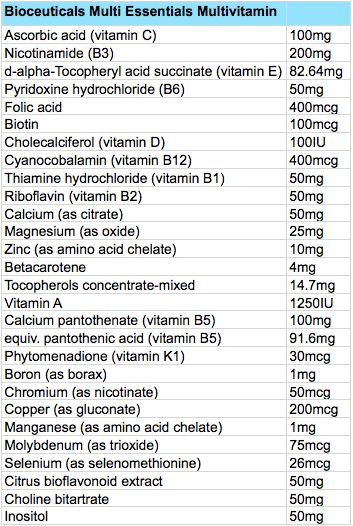 As the quantities of fat soluble vitamins are so low in these formula’s it’s almost impossible to consume too much. You will most likely induce a hypergylcemic episode and loose stools depending on how many additional artificial sweeteners the gummies contain. So, when is it okay to go for gummies? Put simply, never. Lollies and good health should never be promoted as the same thing and a clear differentiation needs to be established at a young age. Vitamins need to be protected past the acid environment of the stomach, which is one reason vitamins and minerals (and pharmaceuticals/drugs) are best absorbed from a tablet. Other reasons include stability (ability for the vitamin and mineral to retain potency and its proper form) in the preparation and through the digestive track. If you are unable to swallow tablets, consider a capsule or powder alternative. Both with provide you with absorbable therapeutic doses of essential nutrients. When choosing a supplement, try not to self prescribe. Seek the advise of a qualified practitioner like an Emed Naturopath and we will provide you with a recommendation that is suited for you and your health requirements. What is Not Listed on the Label Could be Bad for Your Health! Dangerous Ingredients in Your Child’s Multi?